A new comic series by Binary Prophet and myself. Check it out! 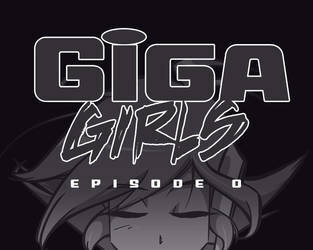 A short prequel comic to the Giga Girls series. I've slowly been going through the people who asked to be wait listed for commissions, back before I went on hiatus. Just wanted to clarify that. So, if you've noted me about reserving a commish slot, stay tuned. I'll probably be doing this for a few more weeks, allowing time for people to get back to me. When I'm done with these folks, I plan on opening regular commissions again. I have been into the giant/tiny fantasy for as long as I can remember. I've gotten into roleplay, story writing and collaging in the past, and am now trying my hand at macro-themed drawings ^_^ My favorite scenarios are along the lines of mega and city destruction, but I also like to mix it up now and then. Always happy to meet like-minded individuals and just share this fantasy with the macro community!